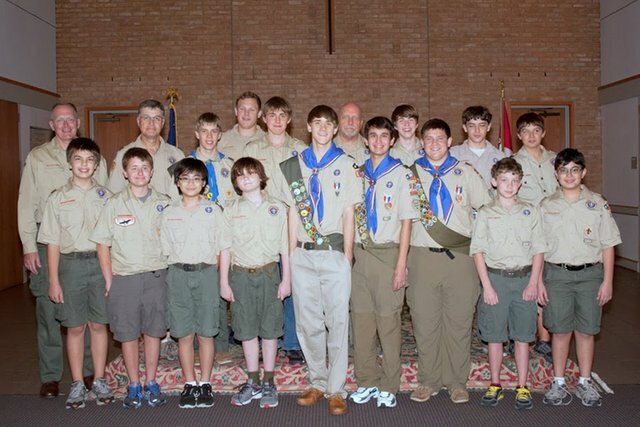 Troop 825 is chartered by Holy Spirit Episcopal Church located in a quiet neighborhood in Houston’s Memorial area. The Boy Scouts of America is one of the nation's largest and most prominent values-based youth development organizations. For nearly sixty years, Troop 825 has provided a program for young people that builds character, trains them in the responsibilities of participating citizenship, and develops leadership and personal fitness. We combine educational activities and lifelong values with plenty of fun and excitement. Our program is focused and fun. 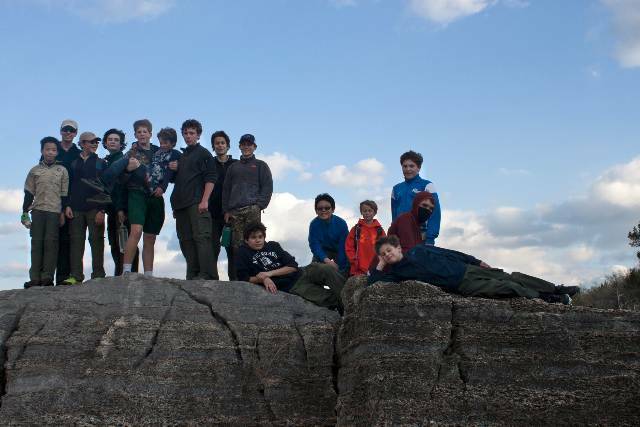 Troop 825 has helped an unusually high percentage of its scouts earn the respected Eagle rank. Our smaller size allows the scouts to build close relationships with their peers and with the adult leaders helping them through rank advancement. Leaders really know each scout. We are a scout-led troop empowering scouts to be leaders by allowing them to develop a troop program and then take responsibility for figuring out how to achieve their goals. We are a well equipped and well supported troop that has a lot of fun. We meet on Wednesday evenings at 6:45 p.m. in the Scoutroom adjacent to the church gym during the school year. If you are interested in becoming a part of our Troop, we welcome visitors during our Wednesday meetings. To arrange for a visit please contact Paul ("Skip") Teel our Scoutmaster. 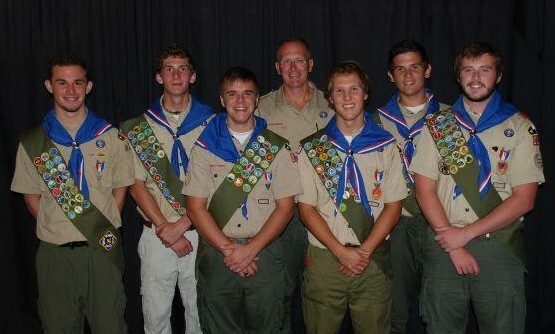 Please follow this link if you are interested in registerring with Troop 825. Adults may register as volunteers at this link. 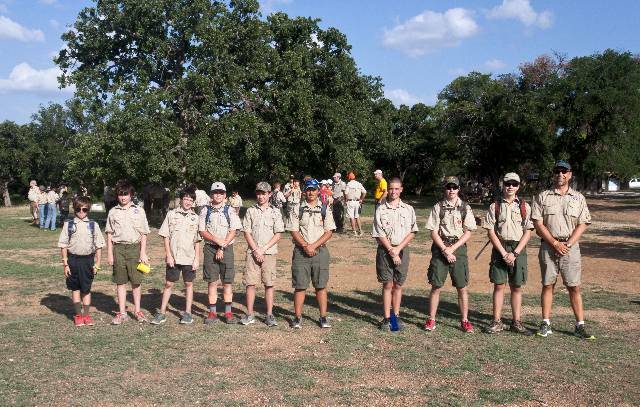 Troop 825 is a Boy Scout Troop in the Mustang District of the Sam Houston Area Council sponsored by the Holy Spirit Episcopal Church. We are a small, outing oriented troop. This scout-led troop empowers boys to be leaders by allowing them to develop a troop program and then take responsibility for figuring out how to achieve their goals. They accomplish this by electing a Senior Patrol Leader and then organizing into patrols under the guidance of the Scoutmaster. 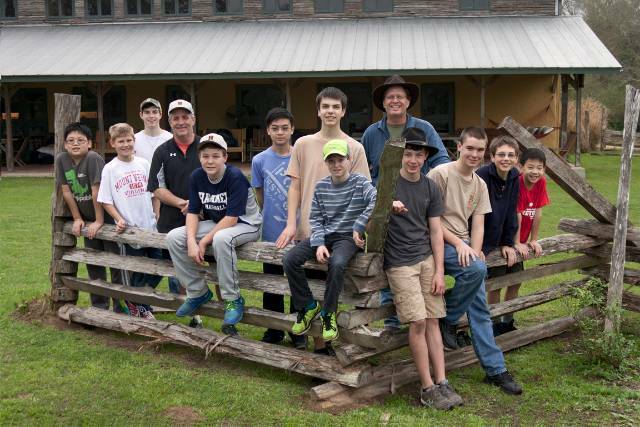 The size of the troop allows the Scoutmaster to work with individual scouts to achieve the rank of Eagle Scout. We are a well equipped and well supported troop that has a lot of fun. We go camping one weekend a month during the school year. Our weekend campouts have a variety of activities including hiking, canoeing and water skiing. We take an annual summer camping trip. During the summer of 2009 we took a trip to Alaska. 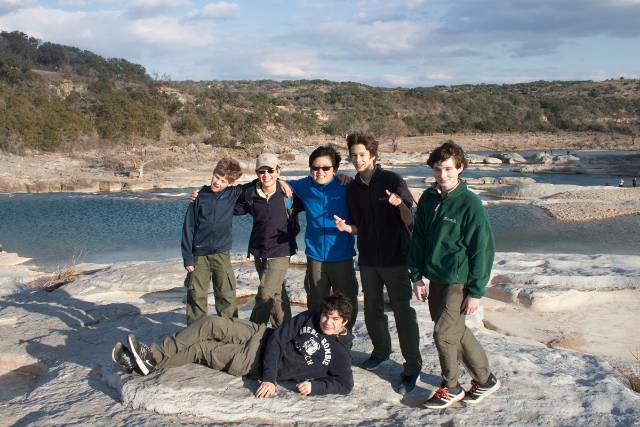 During the summers of 2010 - 2012 we attended summer camp at El Rancho Cima in the Texas hill country. 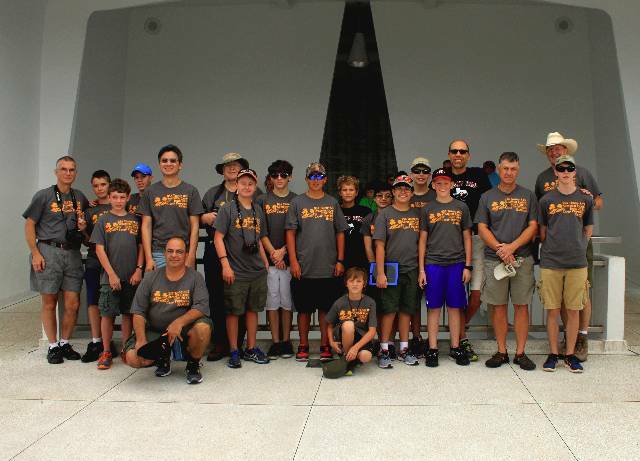 In 2013, the troop attended Camp Pupukea in Hawaii. 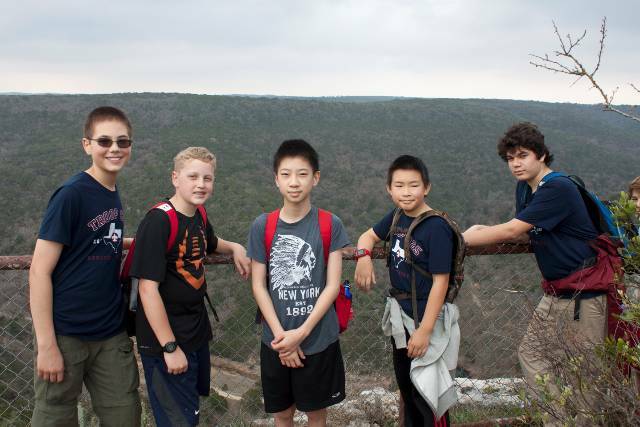 In 2014 we enjoyed summer camp at Sid Richardson Scout Ranch in North East Texas. 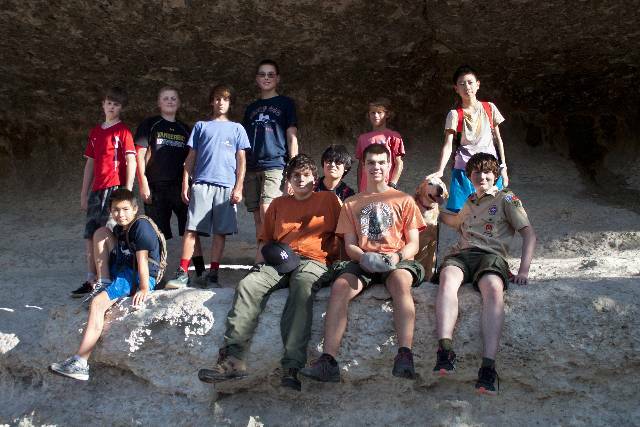 In 2015 we travelled to west Texas to visit Buffalo Trail Scout Ranch. We went to Colorado for 2016 summer camp.